Not everything is what it seems – a tombstone doesn’t necessarily mean the end of a person’s life. The remarkable short stories included in this book narrate eleven extraordinary cases with the common theme that life challenges death. So, prepare yourself for the meeting with a Tibetan monk as he contemplates his way out of a Chinese prison, a Mexican mythomaniac’s idea of true beauty, and the secret caller of a Russian Duchess. You will encounter a ruthless German concentration camp commander, a shipwreck survivor in the Indian Ocean, and a spy novel writer with emerald eyes. You will be shown how too much luck can become a strikingly sad experience, how the prospect of taxes can be more aggravating than the knowledge of looming death, and that orchestrating your own demise for a new life is a daunting task indeed. There’s an account of the repeated delays for a man condemned to death because he refuses the humiliation of getting down on his knees yet another time. Most terrifying of these captivating tales is, perhaps, the unique opportunity to listen in on the cut-up confession of a plastic surgeon after his execution. “Graveyard Grapevine by Kim Ekemar is a collection of eleven short stories all presenting unique perspectives on the most mysterious, sobering, terrifying, and universal subject: death. Each story addresses this topic from a different situation. Settings are often in diverse countries, and characters represent many separate walks of life. There are Malaysian rice farmers, Swiss bankers, Swedish businessmen, Tibetan monks, Nazi commanders, and Russian nobility, among others. Since death is universal, the stories also span the globe. “Each of these short stories also communicates a very unique concept. Death plays a variety of roles in the narratives. It isn't always the enemy or even always the end of the story. It can be seduction, relief, defeat, karma, freedom, failure, victory, or routine. Sometimes death is to be feared and dreaded, and sometimes there are much more terrifying prospects in life from which death is an escape. Just as in the real world life and death are unique to the individual, so also in these stories the individual meets death in a unique way. “I found these stories artfully done. As a general rule, I tend to shy away from the gruesome and the horrific, but the stories in this collection weren't excessively macabre or graphic. There were certainly parts that were emotionally difficult to read, but the whole was tasteful. 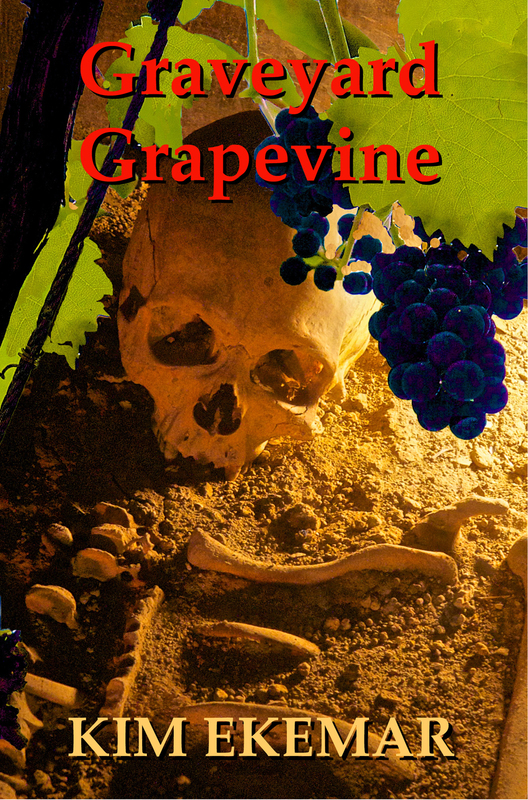 I wouldn't call this book suitable for children, but Graveyard Grapevine falls firmly in an "other fiction" genre rather than "thriller" or "horror". I found the stories thought-provoking rather than flinch-inducing.